First line: The stone walls stood as they had for more than two centuries, simple, sturdy, and strong. From the back cover: #1 New York Times bestselling author Nora Roberts introduces you to the Montgomery brothers - Beckett, Ryder, and Owen - as they bring an intimate bed-and-breakfast to life in their hometown. The historic hotel in Boonsboro has endured war and peace, the changing of hands, and even rumored hauntings. Now it's getting a major face-lift from the Montgomery brothers and their eccentric mother. As the architect in the family, Beckett's social life consists mostly of talking shop over pizza and beer. But there's another project he's got his eye on: the girl he's been waiting to kiss since he was sixteen. After losing her husband and returning to her hometown, Clare Brewster soon settles into her life as the mother of three young sons while running the town's bookstore. Though busy and with little time for romance, Clare is drawn across the street by Beckett's transformation of the old inn, wanting to take a closer look...at both the building and the man behind it. 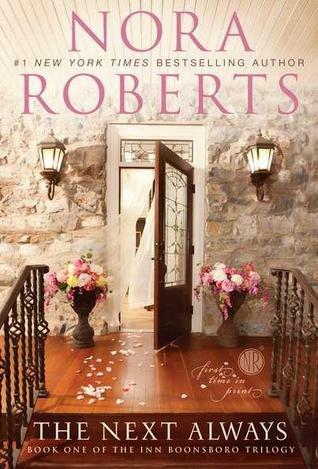 My thoughts: This is the first in Nora Roberts' newest series, Inn Boonsboro Trilogy. In this installment, we are introduced to the three Montgomery brothers, but the main focus is on Beckett. The Montgomery family is restoring an old inn in Boonsboro. The family consists of a widowed mother and three grown sons. You can easily see that they love and support each other even while the brothers pick at each other. This romance stars Beckett who is the architect in the family but who also doesn't mind turning his hand to any carpentry tasks or other needed tasks in the inn restoration project. His other focus has turned onto Clare Brewster, the girl of his dreams since high school. Now that she's back in town, he takes all the opportunities presented to him to see her. Having her help with the pamphlet about the inn means they will be crossing paths quite often. I enjoyed getting to know the people in Boonsboro. There's the definite small-town feel to the book, where the people in the town really care about each other, rejoicing in the good times and lending support in the difficult ones. I look forward to getting to know the other Montgomery brothers in each of the subsequent books in this trilogy. First line: "Our daughter looks like a South China peasant with those red cheeks," my father complains, pointedly ignoring the soup before him. From the back cover: In 1937 Shanghai - the Paris of Asia - twenty-one-year-old Pearl Chin and her younger sister, May, are having the time of their lives. Both are beautiful, modern, and carefree - until the day their father tells them that he has gambled away their wealth and that to repay his debts, he must sell the girls as wives to suitors who have traveled from Los Angeles to find Chinese brides. As Japanese bombs fall on their beloved city, Pearl and May set out on the journey of a lifetime, from the Chinese countryside to the shores of America. Though inseparable best friends, the sisters also harbor petty jealousies and rivalries. Along the way they make terrible sacrifices, face impossible choices, and confront a devastating, life-changing secret, but through it all the two heroines of this astounding new novel hold fast to who they are - Shanghai girls. My thoughts: I have come to really enjoy Lisa See's books. They are not fast reads by any means, but rather are the type of books that leave you knowing a little about a part of the world not too familiar and, at least for me, leave me wanting to know more. I always get completely engrossed in her writing and find that the stories stay with me long after I've read the last page. I first came across Lisa See when my book club picked Snow Flower and the Secret Fan to read, which I absolutely loved. I then had the opportunity to go see Lisa See when she was promoting her latest book, Dreams of Joy - she is an amazing speaker and I really enjoyed listening to all her stories. You can see my write-up of that talk here. 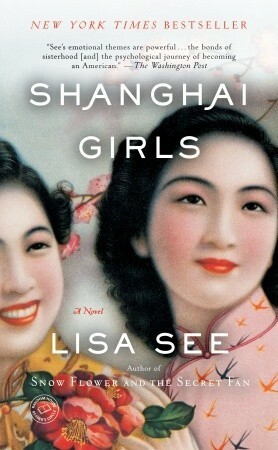 In Shanghai Girls, the setting of the novel is Shanghai in the 1930s and later the US. Lisa See paints a vivid portrait of life in pre-World War II Shanghai and takes the reader on an unforgettable journey through the Japanese invasion of China and its aftermath. It is a fascinating and intense look into life for the Chinese at the time of their war with Japan and their experiences with trying to fit in with the Americans. Lisa See tells a beautifully crafted story of the struggles faced by the two women as they adjust to life with a new family and in a new country. It is a story about assimilation and trying to retain some of your ethnic identity. It is about family hardships that bind people closer together, or form bonds that were not previously there. It is about unconditional love for siblings and children that can be hurtful and unpleasant. This is a book that almost everyone can relate to, even if you have no Chinese ancestry, or it has been a dozen generations since anyone in your family was "FOB - Fresh off the boat". I've been wanting to read this book for a while now, and am glad that I finally did. Now I can't wait to start Dreams of Joy which continues where Shanghai Girls leaves off. First line: When a guy is in trouble he starts making deals with his creator, and Ambrose was dealing like crazy. 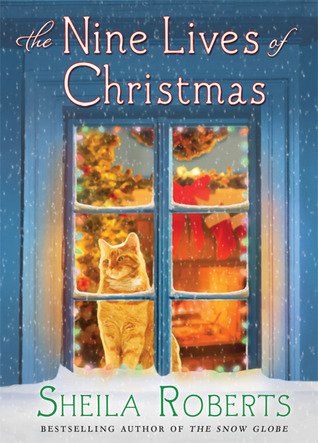 From the inside cover: Two people are about to discover that when it comes to finding love, sometimes Christmas magic isn't enough...sometimes it takes a pesky orange cat named Ambrose. When a guy is in trouble, he starts making deals with his Creator...and Ambrose the cat is no exception. In danger of losing his ninth and final life, Ambrose makes a desperate plea to the universe. He'll do anything - anything! - if he can just survive and enjoy a nice long, final life. His prayer is answered when a stranger comes along and saves him - but then Ambrose is faced with having to hold up his end of the bargain. The stranger turns out to be a firefighter named Zach, who's in need of some serious romantic help. If Ambrose can just bring Zach together with Merilee, the nice lady who works at Pet Palace, it's bound to earn him a healthy ninth life. Unfortunately for Ambrose, his mission is a lot harder than he ever thought. Merilee is way too shy to make the first move on a ladies' man like Zach, and Zach thinks he's all wrong for a nice girl like Merilee. Now it's going to take all of Ambrose's feline wiles - and maybe even a good old-fashioned Christmas miracle - to make them both realize that what they're looking for is right in front of their eyes. My thoughts: This was Sheila Roberts' newest holiday book and it was a fun, quick read - I ended up reading it in one afternoon! The story is told from three different points of view from the residents of Angel Falls - Ambrose the cat, Zach the firefighter, and Merilee the nice lady at the pet shop. 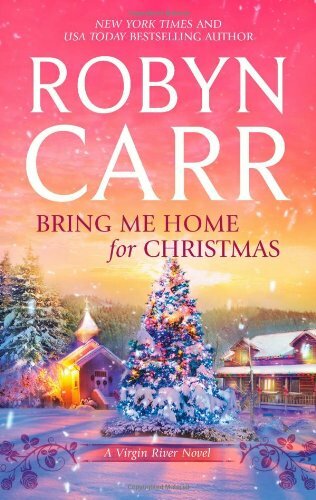 It weaves seamlessly back and forth between these characters, telling a tale that at it's simplest form is about finding the spirit of the season in unexpected places. At times, it reminded me of the holiday movie, It's a Wonderful Life...Ambrose, cat matchmaker extraordinaire, pulled some good stunts to get Zach and Merilee together. The question is whether they can each move past their own insecurities and see what's right in front of them. I enjoy reading Sheila Roberts' books - they always have subtle messages woven in. I look forward to seeing what she writes next! From the back of the audio case: Fifty-year-old psychologist Alice Howland is content with life. Not only is she a revered Harvard professor, but she also has a successful husband and three grown kids. However, Alice's life is turned upside-down when she succumbs to a degenerative brain disease, leaving her perfect family reeling from her sudden memory loss. My thoughts: I first came across Lisa Genova when I listened to Left Neglected, which I really liked. I had heard good things about Still Alice, so I decided to listen to it as well, especially when I saw that it was the author herself that did the narration. I really enjoyed the story, and felt that I could somewhat relate, after seeing my great-aunt go through the beginning stages of Alzheimer's. Still Alice is a beautifully written, heartbreaking novel about the devastating affect Alzheimer's has on its victims and their families. Author Lisa Genova's choice of Alice - young, in shape, and intelligent (she's a Psychiatry Professor at Harvard) - shows that Alzheimer's can strike anyone, not just the elderly. 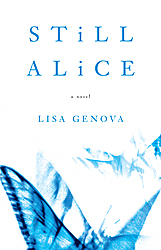 The book is written from Alice's viewpoint, but Lisa Genova does a good job of showing the affect of Alzheimer's not only on Alice, but how her family (John, and their adult children Anna, Tom, and Lydia) struggle with the changes in Alice. I felt that the author also does an excellent job of describing what is going on in Alice's head as the dementia increases. In fact, she does such a good job that I sometimes forgot the book was fiction and not about a real person. I highly recommend this book to everyone, not just those affected with this dreadful disease. I look forward to reading more from Lisa Genova. First line: On the twenty-ninth day of January in 1542, twenty-six eligible young women sat at the table in White Hall Palace with King Henry. From the back cover: Charming. Desirable. Forbidden. Brought to court with other eligible young noblewomen by the decree of King Henry VIII, lovely Elizabeth "Bess" Brooke realizes for the first time that beauty can be hazardous. Although Bess has no desire to wed the aging king, she and her family would have little choice if Henry's eye were to fall to her. And other dangers exist as well, for Bess has caught the interest of dashing courtier Will Parr. Bess finds Will's kisses as sweet as honey, but marriage between them may be impossible. Will is a divorced man, and remarriage is still prohibited. Bess and Will must hope that the king can be persuaded to issue a royal decree allowing Will to marry again...but to achieve their goal, the lovers will need royal favor. Amid the swirling alliances of royalty and nobles, Bess and Will perform a dangerous dance of palace intrigue and pulse-pounding passions. Brought to glowing life by the talented Kate Emerson, and seen through the eyes of a beautiful young noblewoman, By Royal Decree illuminates the lives of beautiful young courtiers in and out of the rich and compelling drama of the Tudor court. My thoughts: This is the third in Kate Emerson's Secret of the Tudor Court series and once again I really enjoyed it. I think my favorite aspect of the series is that they all focus on the side playing courtiers of the Tudor Court, those that get mentioned here and there, but we never get their full story. Kate Emerson has brought these characters to life in her series. This installment tells the story of Elisabeth Brooke and William Parr, who have quite the interesting story. They went to through hell to be together and through all the pain and heartache they believed it was worth it. As the story progresses, Bess matures into an amazing, intelligent woman who has the smarts to navigate the perils of court life while keeping her head and Will's. She survives the end of Henry VIII's reign, Edward's short reign, the ill-fated reign of Lady Jane Grey, and the heretic-burning reign of Mary, all the time fighting to be with Will and while trying to play the winning side of the constant political turmoil in that period of British history. I find this series really helps me understand all the players involved during the Tudor period. There are many stories out there about the kings and queens, but not as many about the courtiers and I think that's why I really enjoy this series. I look forward to reading the next installment: At the King's Pleasure which is due out early next year. From the back of the audio case: The upcoming holiday season is all about showing off her talents as a pastry chef for college-age Dakota Walker - when she's not busy stitching at Walker & Daughter, the coziest little yarn shop on Manhattan's Upper West Side. Now, with the help of the family that's always sustained her, including the women of the Friday Night Knitting Club, Dakota remembers what is truly important. As the year draws to a close, Peri, Darwin, Lucie, KC, and Catherine gather to plan the long-awaited wedding of elegant Anita Lowenstein and her beau, Marty. With a new romance in full bloom, Catherine is making plans of her own, and she's not the only one. The possibility of a Christmas visit to Dakota's beloved Gran in Scotland, accompanied by her mother's parents and brother, tempts with the potential for illuminating revelations about her mother, Georgia Walker, from her childhood pranks to her happy holidays past to her blissful moments as a doting young mom. From Thanksgiving through Hanukkah and Christmas to a spectacular New Year's wedding reception, Knit the Season is a tender story about the richness of family bonds, the magical power of memory, and the everlasting joys of friendship. My thoughts: This is the third book in Kate Jacobs' Friday Night Knitting Club and the first of the series that I listened to. I found the story to be a heartwarming tale of the holidays where the characters take to reminiscing about Georgia Walker who is no longer with them. By using memory flashbacks from various characters' perspectives, we get a closer look at how one character can influence the life path of others. These flashbacks also serve to enhance the characterization of Georgia Walker in her role as mother, sister, daughter, granddaughter, lover, and friend. Like the Christmas tree garland she and her Scottish grandmother knit over the years, the characters are connected to each other by Georgia and form a strong chain that can't be broken by the passage of time, distance, or age. This is the perfect kind of book to read around the holidays as it is a feel-good holiday book that celebrates friendships, family, new milestones, and unlimited possibilities for the future. I hope there will be more stories about The Friday Night Knitting Club as I really enjoy catching up with them in each book. First line: The distance across the Narrow Seas between Calais, the last English outpost on the coast of France, and the town of Dover, in Kent, was less than twenty-five miles. From the back cover: Pretty, flirtatious, and ambitious. Nan Bassett hopes that an appointment at the court of King Henry VIII will bring her a grand marriage. But soon after she becomes a maid of honor to Queen Jane, the queen dies in childbirth. As the court plunges into mourning, Nan sets her sights on the greatest match in the land...for the king has noticed her. After all, it wouldn't be the first time King Henry has chosen to wed a maid of honor. And in newly Protestant England, where plots to restore the old religion abound, Nan may be the only one who can reassure a suspicious king of her family's loyalty. But the favor of a king can be dangerous and chancy, not just for Nan, but for her family as well...and passionate Nan is guarding a secret, one that could put her future - and her life - in grave jeopardy should anyone discover the truth. Based on the life of the real Anne Bassett and her family, and drawing extensively from letters and diaries of the time, Between Two Queens is an enthralling picture of the dangers and delights of England's most passionate era. My thoughts: This is the second in Kate Emerson's Secrets of the Tudor Court series and I thoroughly enjoyed it. This time the author brings to life the character she imagines as Nan Bassett. Called 'Nan' by her friends, there is not a lot known about Anne Bassett, this mistress of Henry VIII, except that he had courted her briefly. How far that went is unknown, but Henry seemed to be fond of her. Nan is brought to court to serve Queen Jane shortly before Prince Edward is born. She is hoping to find herself a good husband, with wealth and title. The story covers Nan's journey through court while she serves the last four of Henry's six wives, where she quickly learns that the Tudor Court is a dangerous place to live, with games and intrigue around every corner. I liked the way Emerson started each chapter with a passage from actual letters from the period that were about the historical figures in this story. It added a more authentic feel to the book. I also appreciated that there was a family tree, some maps and a list of who's who of historical characters included in the book. I found myself referring to all three quite a bit as I was reading. The Tudor period is one of my favorite time periods and while I have read quite a few books about this era, I still have a hard time keeping track of who is who. I am looking forward to reading the next book in the Secrets of the Tudor Court series: A Royal Decree. 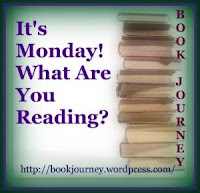 As you can see, not much happened on my blog last week and not much reading got done either. Now that Christmas is over, I am hoping for a quiet week where I can get some reading done - I still need to finish up some of the challenges I am participating in - and hopefully find some time to catch up on my reviews. 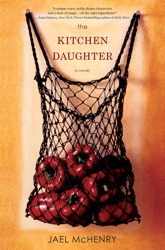 About the book: After the unexpected death of her parents, shy and sheltered Ginny Selvaggio, a young woman with Asperger’s syndrome, seeks comfort in the kitchen. The rich aroma of ribollita, painstakingly recreated from her Italian grandmother’s handwritten recipe, calms her senses. But it also draws an unexpected visitor—the ghost of Nonna herself—and Ginny soon discovers she has the power to call forth the spirit of any dead person whose dish she prepares. As her pragmatic sister pushes to sell the only home she has ever known, Ginny finds evidence of a provocative riddle from her parents’ past that could be the key to her uncertain future. But can she cook up a dish that will bring them back long enough to help her solve it? ***I will be reviewing this book in the near future...can't wait to start reading it!!! Another challenge has come to a close. As you can see from my list, I finished reading 24 out of the 25 books I had listed and I am in the middle of reading the last one right now. 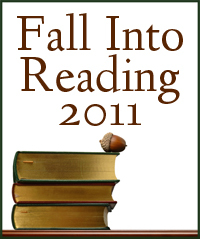 I was also able to read an additional 9 books during this time that were not on my original list. That puts my total number of books read from September 23 to December 21 to 33 books!!! I read a lot of great books this time around and it's hard to pick one favorite, but some of the top books were: The American Heiress and Left Neglected. This is the first time participating in this kind of reading challenge where I actually got to all the books I listed ahead of time. I didn't finish them all - still in the middle of the last one, but usually I have at least one on the list that I didn't even start. And as usual, I managed to read quite a few additional books not on my original list, so I ended up reading more than I initially planned. This time around when selecting my original list, I was quite strategic - I picked books that would help me finish other reading challenges that I am participating in that end at the end of the year. I have to say, the strategy worked as I am almost certain I will complete all challenges! What about you? Did you participate in the challenge and if so, how did you do? Another week of not much reading happening. I have been busy trying to finish up my Christmas shopping as well as finish up some projects I started that will be Christmas gifts. Hopefully once the holidays are over, my reading pace will pick back up! 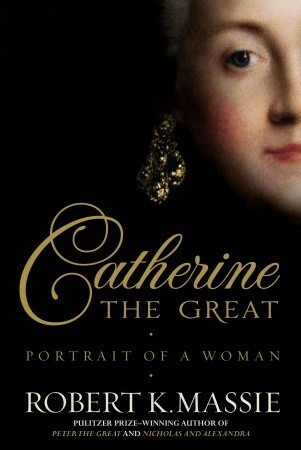 I have always been fascinated with Catherine the Great and I knew I had to get this one. From the back of the audio case: The Grey sisters had only each other when their mother died years ago. Their father provided for them physically on Water's Edge, the ranch that had been in their family for three generations; each of them, however, longed for their father's love. Winona, the oldest, knew early on that she could never get it. An over-weight dreamer and reader, she didn't exhibit the kinds of talents and strengths her father valued. Vivi Anne, the youngest, had those things. And it was Vivi Anne who only ever saw a glimmer of their father's approval. When Vivi Anne makes a fateful decision to follow her heart, rather than take the route of a dutiful daughter, events are set in motion that will test the love and loyalties of the Grey sisters. 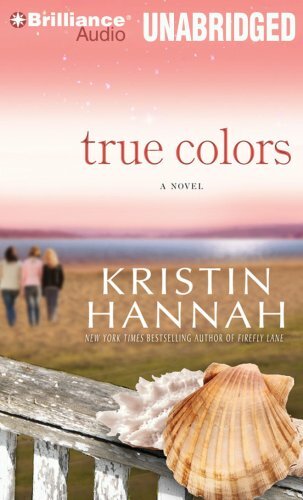 With breathtaking pace and penetrating insight, Kristin Hannah's True Colors is a novel about sisters, vengeance, rivalry, betrayal - and ultimately what it truly means to be a family. My thoughts: I really enjoyed this story. Maybe because I have two sisters myself or maybe just because of the insightful writing of Kristin Hannah, but I felt I could really connect with these characters. The Grey sisters are characters we can all relate to. Winona is the oldest sister and one who has never fully felt loved from her father, so she constantly seeks his approval. Aurora is the middle child, the one always wishing for peace amongst everyone, and always putting others before herself. Vivi Ann is the youngest and the child everyone loves so dearly, someone beautiful on the inside as well as the outside. True Colors chronicles the lives of the sisters over a few decades as they each suffer through heartbreak, found love, lost love and more. This story is truly the portrait of a relationship over the course of a lifetime. Beginning in 1979, when the Grey girls are teenagers, and extending to the present, the book traces the ways in which sisters grow apart and come together again, often for surprising reasons and in unexpected ways. It is particularly interesting watching how Vivi Ann's son, a troubled and violent boy who takes after his absent father, becomes the catalyst for Winona's redemption and the sisters' eventual reconciliation. I really enjoy reading/listening to Kristin Hannah's books and I am trying to catch up on all her previous works. 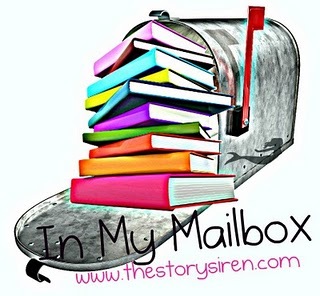 I find her books are the perfect stories to listen to as she always manages to tell captivating and emotionally-charged tales that keep your attention even with long breaks from listening. First line: I was a child of eight in April of the year of our Lord fourteen hundred and ninety-eight. From the back cover: Beautiful. Seductive. Innocent. Jane Popyncourt was brought to the court as a child to be ward of the king and a companion to his daughters - the princesses Margaret and Mary. With no money of her own, Jane could not hope for a powerful marriage, or perhaps even marriage at all. But as she grows into a lovely young woman, she still receives flattering attention from the virile young men flocking to serve the handsome new king, Henry VIII, who has recently married Catherine of Aragon. Then a dashing French prisoner of war, cousin to the king of France, is brought to London, and Jane finds she cannot help giving some of her heart - and more - to a man she can never marry. But the Tudor court is filled with dangers as well as seductions, and there are mysteries surrounding Jane's birth that have made her deadly enemies. Can she cultivate her beauty and her amorous wiles to guide her along a perilous path and bring her at last to happiness? Basing her gripping tale on the life of the real Jane Popyncourt, gifted author Kate Emerson brings the Tudor monarchs, their family, and their courtiers to brilliant life in this vibrant new novel. My thoughts: This is the first in Kate Emerson's Secrets of the Tudor Court series and I really enjoyed it. I absolutely love reading about the Tudor period and what I like about this series is that the main focus is not on the Tudors themselves, but the other people at court during the Tudor reign. Yes, we still get to see the Tudors, but they are not at the forefront of the story. The Pleasure Palace is based upon Jane Popyncourt, a member of the Tudor Court and of whom very little is known, giving the author more leeway to craft her tale. The novel is full of historical tidbits as far as how the courtiers dressed, their jewels, the pageants and parties, and the card games they played; just enough information to not sound like non-fiction but more to give us a sense of being right there in Jane's presence. It is a novel full of romance, mystery and intrigue. I really liked the fact that Kate Emerson gives you the family trees of the English and French Nobility of the period, along with a who's who in the back of the book. I've read quite a few books set during the Tudor period, but I still get confused as to who is who. 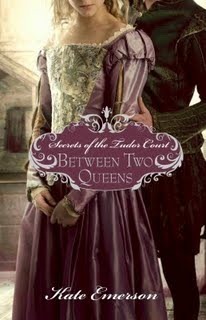 I found this to be an engrossing read and I can't wait to pick up the next in the Secrets of the Tudor Court series: Between Two Queens. The last two weeks have gone by in a blur and I'm sorry to say that I haven't accomplished much reading-wise or review-wise. Part of it was due to my work schedule being completely hectic, but the other part is that I am just about 3 months pregnant and have been so tired that I often fall asleep when I sit to read. Hopefully my energy level will be back to normal soon. At least work will be quiet until after the new year. *** This is for the last 2 weeks. This just came out in paperback and I can't wait to read it. This is the 3rd book in Kate Jacob's Friday Night Knitting Club series. First line: Forty-four years old. From the back cover: As Christine approaches her forty-fourth birthday, life isn't looking particularly rosy. Admittedly, her career has never been better, but her personal life has been pretty much dead in the water since she discovered her husband was sleeping with her (former) best friend. Now, not only is Christine divorced and childless - she doesn't even have a cat! - she is beginning to fear that she has been putting too much faith and trust in her girlfriends. Alarmed by Christine's growing despair, her sister and a longtime pal hatch an ambitious plan to prove her wrong. They will gather together all of Christine's old friends from the various stages of her life and throw a surprise party the likes of which she have never seen. Of course, finding all of those women turns out to be easier said than done! Nonetheless, the final result proves to be a priceless gift, a moving and laugh-out-loud funny portrait of one woman's life as told through the stories of her friendships. My thoughts: I found this to be fun and quick while at the same time also quite a thought-provoking read about the importance of girlfriends.This is a sequel to Life After Forty, although I did not read that one, and felt that Dora Heldt gives enough background to not be lost in this one. Christine has always had girlfriends that have come and go and once they are gone, they tend to be a thing of the past. It takes the brainstorm of her current friends to decide the perfect way to celebrate Christine's forty-fourth birthday - find all her old best-friends, have them fill out a questionnaire they devised, and invite them to the party. I loved the concept of the questionnaire and thought the questions were very thought-provoking but fun. The story flows seamlessly between the present and the past. We are able to see the friendship that Christine had with each girl, while at the same time getting a glimpse into their present-day lives. Dora Heldt also includes some of the articles that Christine writes for the magazines she works for and I have to admit they are quite entertaining. I think I would like to go back and read Life After Forty and then the other two stories that come after, if they are ever translated into English (the author is German). 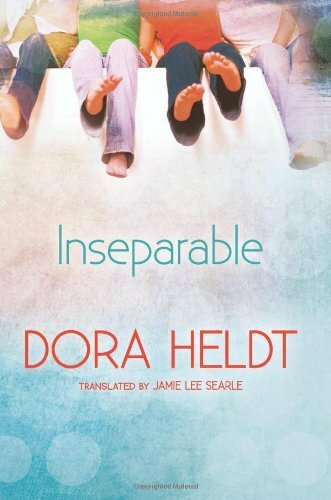 I received a complimentary copy of Inseparable by Dora Heldt from Sarah at Little Bird Publicity to review. This contest is open to entries from the U.S. only. The deadline for entry is midnight, December 22nd. I will draw the winner on December 23rd and post the winner's name shortly after that.